Step 1 Download the Data Collector on your SiteWatch Server. Step 2 Run through a quick setup process to sign up. Step 3 Access your stats via the website, iPhone app, or Android app. 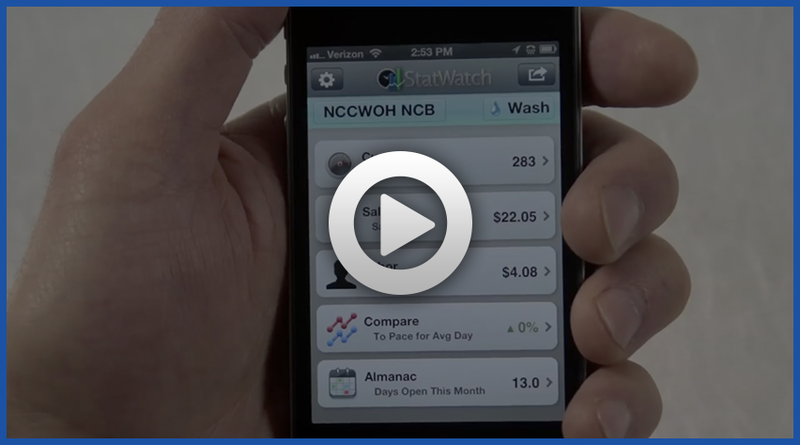 Have a question or need information regarding StatWatch? StatWatch Help Have a problem or a general question regarding StatWatch? Visit our FAQ page to find your answer. DRB Systems Support Visit the support web site for more information or to talk with a support representative. Constant and secure up-to-the-moment updates of key sales and labor stats through your web browser, Android, or iPhone. Easy for you to monitor your operation remotely through any Internet connection, or on-site from your Manager Workstation. At-a-glance comparisons between sites, as well as hour-to-hour and day-to-day comparisons. Weather tracking, including a 5-day forecast from AccuWeather, and precipitation monitoring. Shows you which employees are working at any time, and allows you to see their hours worked for the day and week. Almanac data for your site that makes it fun and easy to evaluate past dates of business. Copyright © 2019 DRB Systems All rights reserved.